“With the release of the film Bully and daily news reports about the devastating impact on students who have been relentlessly bullied, teachers find themselves on the front line in addressing bullying. It is time to move into action. Not In Our School offers solutions-based strategies and tools for change to a network of schools that are working to create safe, inclusive and accepting climates” Read more by clicking on the link. I love to use role play and modeling to teach acceptable classroom behaviors. First, it saves me from repeating myself over and over which can cause an unhappy teacher. Second, it gives students a chance to be successful and receive praise from myself and classmates. Also, ELLs can see the behavior in action rather than making sense of a teacher’s (let’s face it) nagging. It’s also good for training those muscle memories! Better learning behaviors, smoother lessons and hassle-free data – and its free! So sign up! 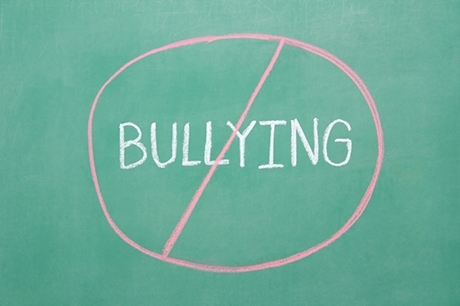 With the release of the film Bully and daily news reports about the devastating impact on students who have been relentlessly bullied, teachers find themselves on the front line in addressing bullying. It is time to move into action.